Gantri is an innovative San Franciso based lighting startup that engineers, manufactures, assembles, finishes, and packages all of their products in the USA. 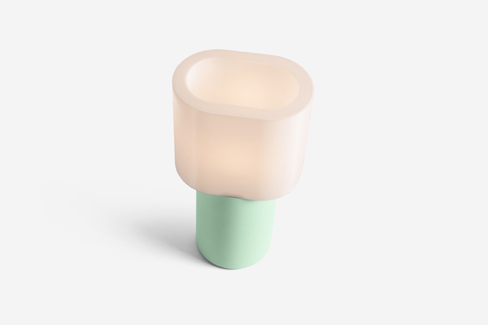 They use 3D printing technology to offer lighting for sale on demand, have developed a proprietary finishing process and use energy saving dimmable LED bulbs for all lamps. The 3D printed plastic used is polylactic acid (PLA) derived from corn. Gantri approached me during their beta rollout about designing some lighting for them. 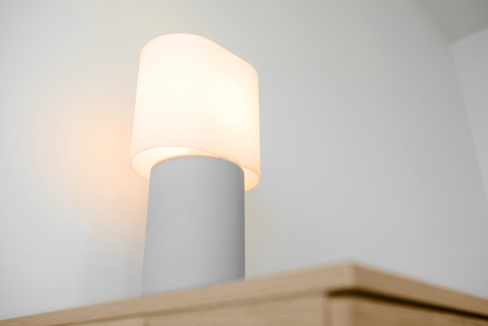 Being very impressed both with their business approach and their manufacturing capabilities, I set out to create a versatile table lamp suitable for use bedside, in the living room, or anywhere else around the house. 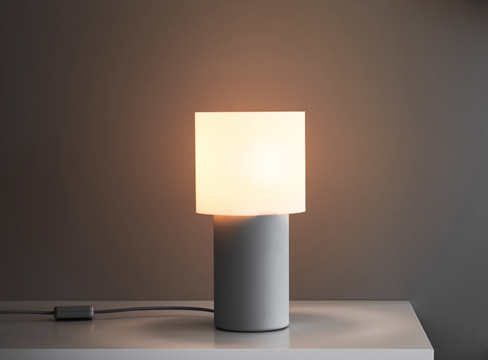 The Scoop table lamp utilizes very simple forms and subtle contrasts to create a calming presence in the home. The shade is racetrack shaped and it’s visual weight contrasts with the thinness of it’s quite durable plastic shell construction. This sits on top of the cylindrical base touching seemingly only at two points. [There is a hidden connection that secures the shade to the base.] 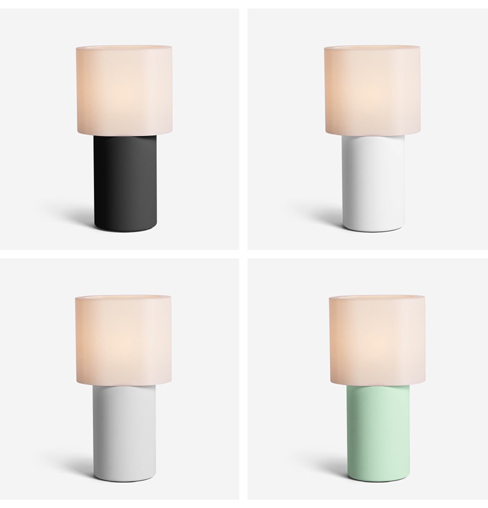 The base is coated in soft touch plastic and has a rounded bottom edge contrasting with the hard edges of the shade. 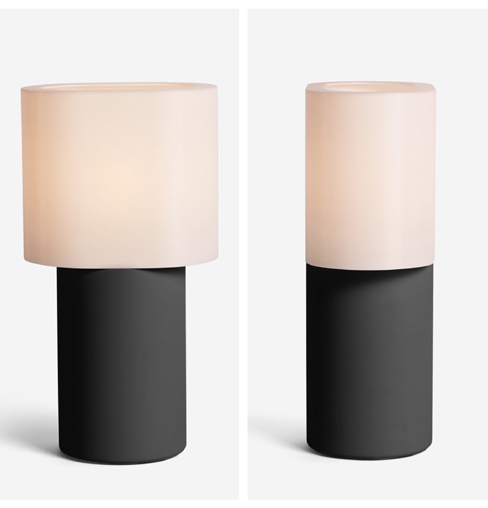 I chose the name “scoop” as a reference to the crescent shaped openings on either side of the shade that shine light downwards onto the tabletop. These remind me of the air “scoops” of a 70s muscle car or the gill openings of a shark.